On behalf of Admin of JML Law, A Professional Law Corporation posted in wrongful death on Thursday, Jan 17 2019. There is no doubt that the law takes extreme positions to protect our children. This country has a strong belief that we should take care of our children with the utmost care. However, our country has little belief in taking care of elders. Sure, we like to say we respect our elders, but there has a been a quiet increase of abuse and death associated with our elders living in nursing homes. Unfortunately, not everyone has the opportunity to live with family members or have the financial means to have someone come and visit them while staying in their own home. Some people have to rely on the care of others, but sometimes that care comes at a cost, more than a financial cost. Our population is getting older way faster than those who are younger. Unfortunately, all of our elders have not experienced the care or respect that they deserve. Elder abuse is as common as 1 in 10 Americans who are over 60 have experienced some kind of elder abuse. Elder abuse is defined when an elder person has been neglected of care. Typically, the people who abuse are family members such as adult children or spouses. However, there are cases of caretakers who are the abusers. Elder care abuse looks like sexual abuse, physical abuse, emotional abuse, confinement, passive neglect, willful deprivation and neglect, and financial exploitation. The older you get the susceptible you are to getting abused in these ways, especially if you are experiencing cognitive degenerative diseases like Alzheimer’s. A wrongful death suit was filed against The Breakers of Long Beach by the family member of an 83-year old woman who died of an infection while under the care of that facility. The lawsuit alleges elder abuse, negligence, negligent hiring and supervision, fraud and wrongful death. They allege that The Breakers at Long Beach negligently took care of the elderly woman but ignoring skin sore that was found on her body. This skin sore got worse and turned into a bacterial staph infection which resulted in her death. The family member who visited the elderly woman made complaints when she saw that the elderly woman was not being fed correctly, medicated correctly, and the facility was infested with cockroaches. Due to the lawsuit, amongst other allegations, the facility shut down. The tragedy of this story is that a family member died due to the neglect of care. The upside of the story is that people who were living in the facility now have a chance to go somewhere else, somewhere with better more efficient care. If you are suffering from the wrongful death of a family member, do not feel at a loss. We are by your side. 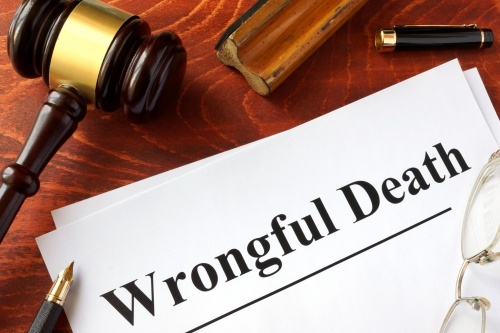 Our Long Beach wrongful death attorney at JML Law are here to bring justice to your loved one and compensation to you for the funeral expenses, medical expenses, and other expenses that come with losing a loved one. Call 818-610-8800 or click here for more information.